A key piece of that definition is the bit about resources and tools, which are collectively referred to as open educational resources, or OERs. If you follow the open access movement at all, you’re likely familiar with the idea of the “serials crisis” and the way in which it helped spur libraries and other stakeholders in scholarly publishing to advocate for open access alternatives. Well, when we talk about OERs we can point similarly to the ongoing “textbook crisis” as a catalyst for the open education movement—at least in higher education.1 To be sure, rising textbook prices are not the only concern for open education activists, but it has galvanized many in the push towards OERs. This makes sense when you look at the numbers. 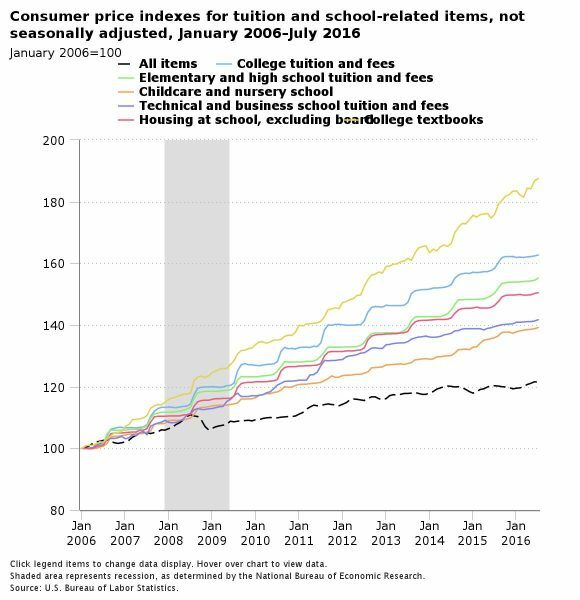 From January 2006 to July 2016, consumer prices for textbooks increased by a staggering 88%. The main reason students acquired an access code, the college store association’s research arm said, was that their instructor required it. As textbook publishers continue to up the ante on course adoptions, proponents of open education are developing a community devoted to the creation and distribution of OERs. With the help of funders like the Hewlett Foundation, which has been investing in OER technologies since 2002, OER advocates educate faculty about free and open alternatives to high-priced textbooks. Here we should be mindful to distinguish between affordable course content and open educational resources. The former includes, for example, using library e-reserves or linking licensed content from the library within a Blackboard course environment. The latter takes a much more expansive approach to developing digital course materials—often called learning objects—that are made available with far fewer restrictions. In fact, open education advocates speak of the five “R”s of OER permissions: the ability to retain, reuse, revise, remix, and redistribute the digital materials. Open educational resources can be anything, really: digitized primary sources, ebooks, video lectures, interactive tutorials. What’s important is that the OER has been designed for a course and is ultimately “packaged” as such and released under an open license that allows meaningful reuse. So why all the jargon? Why not just call OERs “open textbooks”? While some do use the terms interchangeably, critics of the focus on textbooks suggest that as educators, we need to be moving away from static content delivery systems and embrace other, more participatory modes of instruction. Earlier this week, Robin DeRosa (Plymouth State University) posted the text and slides of a short but compelling talk given at the Digital Media and Learning Conference at UC Irvine. In “‘Open’ for the Public: Using Open Education to Build a Case for Public Higher Ed,” DeRosa connects the motivations behind open educational resources to a broader movement towards open pedagogy and argues that the principles of what we collectively call open education are, in fact, also the principles of public higher education. Our OER advocacy could be situated into a broader access advocacy: not just reducing textbook costs, but reducing living, opportunity, and loan costs, confronting the digital divide and online abuse, supporting universal design, and challenging access barriers whenever they prevent our students from learning. What does all this mean for CUNY? Well, to start, there is now a growing section of the CUNY Academic Works repository just for OERs and teaching materials created by the CUNY community. Adding this sort of content to our digital repository not only preserves them, but makes them findable and citeable. By far, the most established OER work at CUNY has been done at City Tech, where the library has offered an OER fellowship program to fund faculty creation of OERs since 2014. Other efforts are building, though: just this summer, the OER Degree Initiative was launched with nationwide participation from 38 community colleges, including BMCC, Bronx Community College, and Hostos Community College. Many students are already hard pressed to afford college, let alone expensive texts. 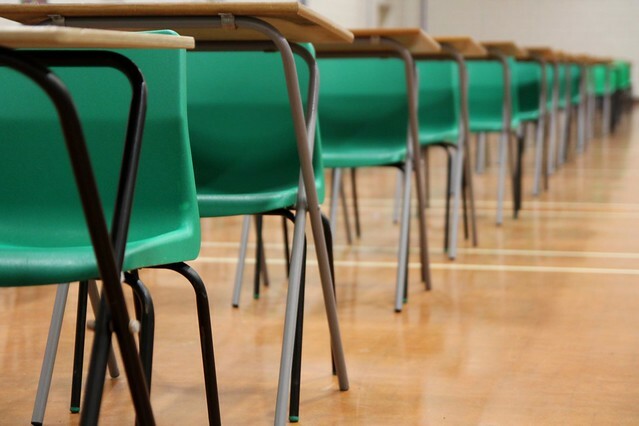 As advocates for our students, we have the opportunity and responsibility to consider moving away from both textbooks and costly educational materials and towards no-cost solutions like Open Educational Resources (OERs). If you’ve managed to wade through all the jargon and still feel inspired to learn more, I’ve gathered some links below with information about open education and OERs. Whew! Roxanne Shirazi is the Dissertation Research Librarian at the Graduate Center Library. At the GC, Every Week is Open Access Week!